Home Business Corporate Affairs Is Menzgold`s Fate Sealed? Regulators (Bank of Ghana, Securities and Exchange Commission) and Menzgold Ghana Limited appear to be involved in a never ending tussle. It will be recalled that the Central Bank has in the past issued several warnings to Menzgold to desist from trading in gold without license. On 7th August, 2018, the Bank of Ghana issued a public notice the fourth of many, intimating that discussion were underway with relevant regulatory authorities to sanction Menzgold for engaging in “solicitation, receipt of money or investment and the payment of dividends or returns to its clients” without a license to do so. This generated a lot of debate on many media platforms even as the company denied being in the wrong. A letter making the rounds and sighted by www.ghanatalksbusiness.com, purportedly from the Securities and Exchange Commission (SEC) directs Menzgold Ghana Limited to halt their investment operations with immediate effect for contravening the Securities Industry Act, 2016 (Act 929). The said letter dated 7th September, 2018 and signed by the Deputy Director-General of SEC Paul Ababio ordered the gold trading and investment company to desist from promoting both advertising their investment business and creating new contracts with depositors. According to SEC, some operations of Menzgold`s are tantamount to operating in the capital market even though the company has not been duly licensed to operate within such a market. 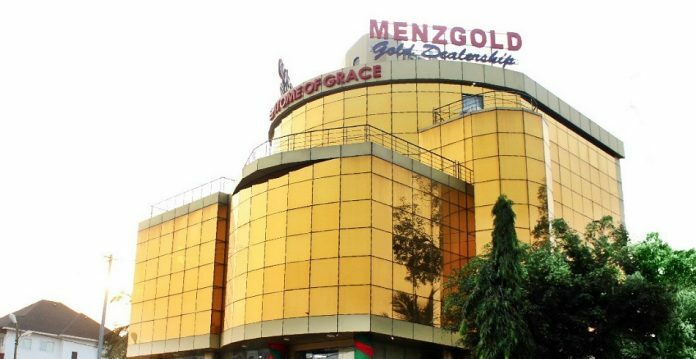 The letter however stated that the order to shut down operations precludes Menzgold’s other business dealings such as assaying, purchasing gold from small-scale miners and export of gold which is regulated by the Minerals Commission. “The interactions with Mr. Offei and Rev. Derek Akubia confirmed to the SEC the view that the aspect of Menzgold’s business which involve the purchase/deposit of gold collectibles from the public and contracts issued with guaranteed returns with clients is a capital markets activity (issuance of gold backed depository notes to the public) under ACT 929 without a valid license issued by SEC contrary to section 109 of Act 929 with consequences under section 2016 (I) of the same act,” part of the letter states. SEC has warned that it would be compelled to take “measures under the law” to enforce the directive if Menzgold fails to comply. In a recent interview, Nana Offei, head of communications of Menzgold admitted that the company has received the said letter and has since forwarded it to the company`s lawyers. He however also stated that the company has not folded up. We wait to see how things pane out in the coming days, weeks and months.